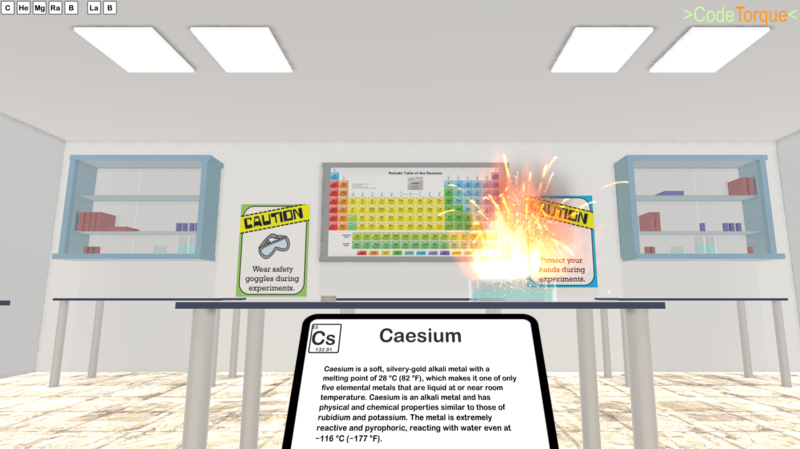 Science lessons wouldn't be the same without the odd fizz or bang... but then it's probably best not to do any permanent damage. 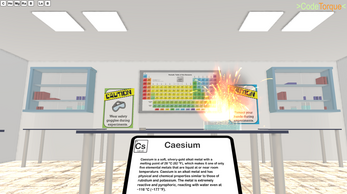 Introducing ChemGrabLab - a LeapMotion-enhanced Chemistry Playground, where you can interact with some of the more hazardous substances available from the safety of your armchair. This project was conceived as part of the LeapMotion 3D Jam 2015, and due to time constraints it is currently a prototype - a vision for what could be much more interesting. 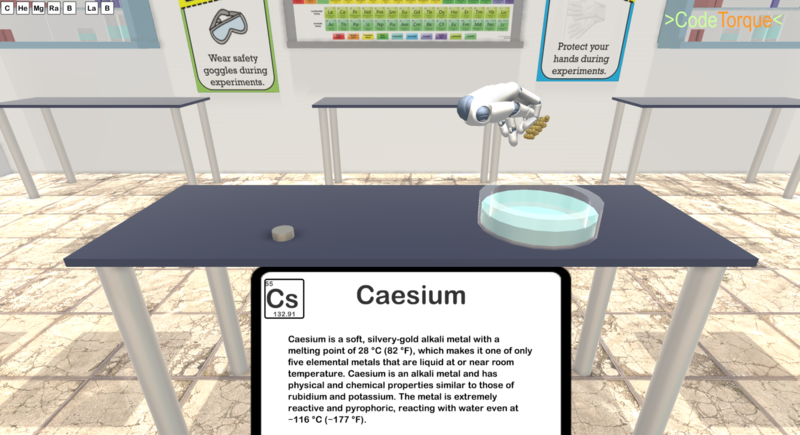 The current sandbox shows interactions between Alkali Metals and Water. This game was developed for use with the LeapMotion device (for more details on the device and the SDK, please head to https://www.leapmotion.com/) Note you can play this game with just a mouse if you do not yet have a LeapMotion. Once you have the device connected and enabled, Mac users should run the application in the Mac zip file download. Windows users should extract the contents of the zip file into a folder, and run the .exe file. Thanks so much for playing! I'd love to get this into the hands of schools - and I'm hoping to expand on the idea with a few more experiments.